Mark welcomes Loren Rhoads to the show. 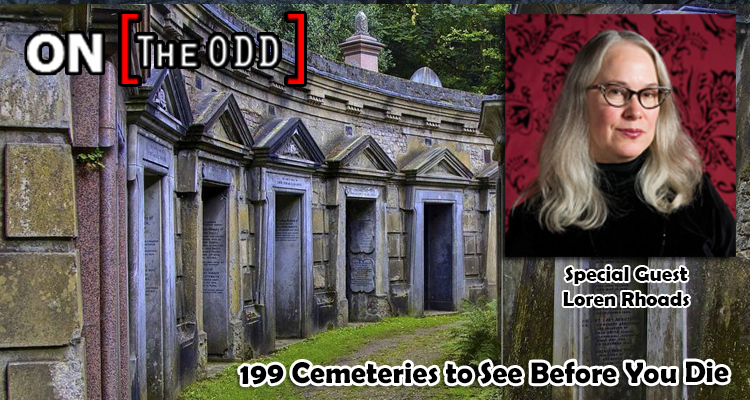 Loren Rhoads was the publisher and editor for the cult nonfiction magazine, MORBID CURIOSITY for 10 years – She also edited the books, Death’s Garden: Relationships with Cemeteries and Lend the Eye a Terrible Aspect. Loren’s own nonfiction spans from morbid erotica to personal essays and gleefully gloomy travel articles. She is a member of the Horror Writers Association and was a cemetery columnist for Gothic.net, with 10,000 readers a month.